Alex Raupach, General Manager of the CIMF, and jazz musician, heralds the upcoming festival. Photos: Supplied. The countdown is on – there is a big sign hanging in the Ainslie Arts Centre office of the Canberra International Music Festival: 25 days left! (By the time you read this even less.) The pressure is on, the place is humming, and the festival software is getting a workout by the festival team, Canberra volunteers and workers alike. Ten days of music opens on May 2nd, with a glittering event: astonishing bendy acrobats hanging upside down to English Baroque, played in this world premiere event by the Australian Brandenburg Orchestra. Circa, the acrobats, perform to Handel, Purcell and traditional English songs such as Scarborough Fair, made famous by Simon and Garfunkel. The Brandenburg Orchestra and Circa in English Baroque – World Premiere in Canberra on May 2. Then 42 more events in 17 venues all round Canberra, from the burnt-out shell of a telescope on Mount Stromlo, to the Turrell Sky Space at the National Gallery of Australia; from the Fitters Workshop to the Llewellyn Hall. This is a festival team that has to wrangle orchestras, choirs and a Brass Band as well as the 79 artists of all kinds. 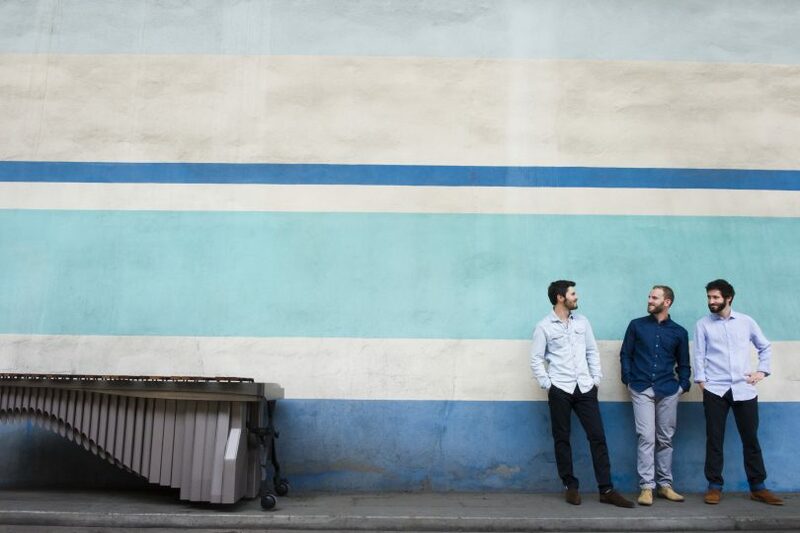 Managing a world class festival is a logistical nightmare: while many of the individual artists carry their own violin, guitar or saxophone, the concert pianists – Russian Vyacheslav Gryazinov, Canadian Eve Egoyan and the New York Jazz star Dan Tepfer – expect a grand piano of high quality. This year it’s a Steinway being brought down from Sydney by Ara Vartoukian, OAM, the senior concert technician from Theme and Variations Piano Services. The marimba group SR9, from France, also require a marimba each, and three of these unwieldy instruments have to be hired, one is even being moved from Adelaide! Each of the artists has to be billeted – and generous Canberrans have opened their homes – one trio of neighbours in Aranda work together so that the ensembles with a number of members can all stay in the same street, if not the same house. The pianists all want a house with a piano so they can practice – imagine the joy of hearing a concert pianist practicing on your piano. The billeters love their guests. 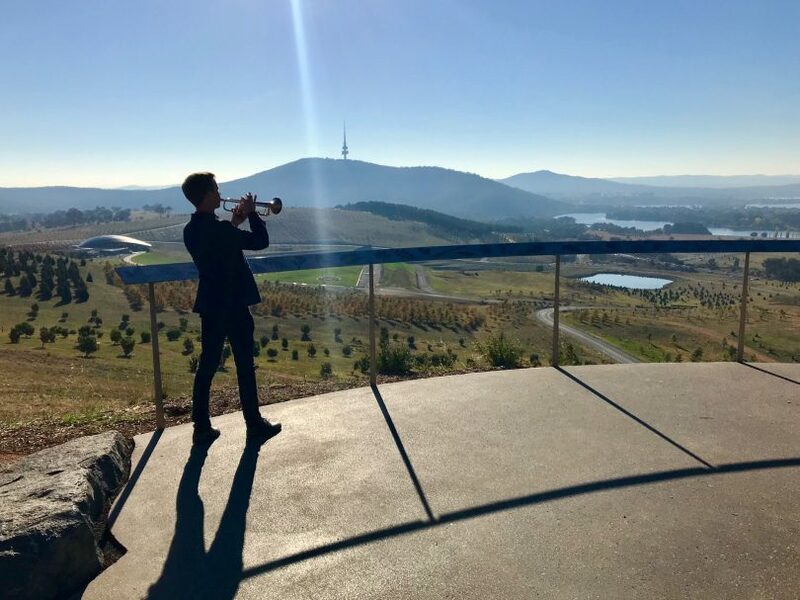 Moving large instruments is part of the deal – in 2015 a grand piano had to be taken to the top of Mount Stromlo – picture the truck winding up that twisty road, and arriving to a windy Canberra autumn day, and how that will mess with the tuning. Ara Vartukian tuned it up for concert pianist Lisa Moore who sounded marvellous playing in the ruin of the Yale telescope. This year the Festival pianos are staying in performance halls – but as well as the Steinway they need a domestic piano, a little tinkly, for one of the children to practice on in the opera by Helen Garner, The Children’s Bach. Smiths Alternative have lent their second piano from the jazz saloon, which is perfect. On stage with the upright is, you guessed it, a marimba! In case you’ve never looked at one close up, the player holds two mallets in each hand and strikes the wooden bars of the marimba, preferably made from rosewood, and arranged with pipes underneath which resonate over five octaves. French ensemble SR9 with one marimba. The festival instrument tuners will be busy, as they have to tune the marimbas, the pianos, the harpsichord which has to be moved from the rehearsal space to the performance space, and the organ which has to be moved from the Ainslie Arts Centre to the Fitters Workshop to accompany Bach’s masterwork, St John Passion. This will be performed by the Bach Academie Australia who have received rave reviews, and soloists led by Andrew Goodwin, (well known to Canberra audiences), as The Evangelist. The Steinway on its own takes most of Ara’s time – an hour during each rehearsal is allocated for tuning. 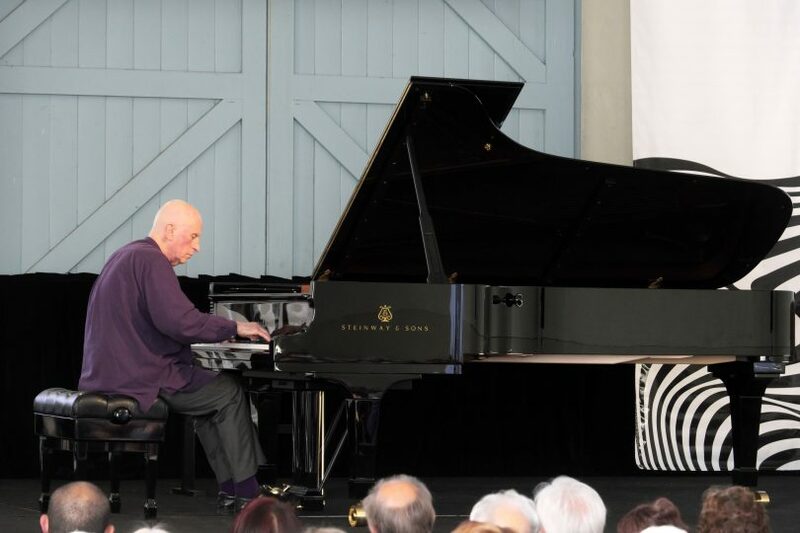 Especially challenging is the tuning for Eve Egoyan who plucks the strings of her open acoustic piano, and the discklavier, an acoustic piano with a computer interface, on which Dan Tepfer will do a performance quite different from his Bach Goldberg Variations. Roger Woodward performs last year on a well tuned piano. Photo: Peter Hislop. So spare a thought for all those behind the scenes at the Canberra International Music Festival: it wouldn’t be possible without Canberra’s help. The volunteers in the office and at the venues, the billeters, the transporters who drive the performers to venues, those who check tickets and serve wine in the intervals, as well as the goodwill of a man, Ara Vartoukian, and his company Theme and Variations Piano Services who is prepared to go the hard yards so the most demanding of performers sound great.